Demystify the book of Revelation, this album celebrates the glorious nature ofChrist and his passion for his bride. From Word.AFTER MORE THAN A YEAR OF INTENSIVE STUDY, MICHAEL CARD PRESENTS A WORK DESIGNED TO DEMYSTIFY THE BOOK OF REVELATION, UNVEILING THE GLORIOUS NATUREOF CHRIST AND HIS RELENTLESS PASSION FOR HIS BRIDE. 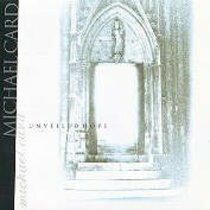 Michael Card is an award-winning musician, performing artist and writer of "El Shaddai," "Immanuel" and many other songs. He has produced over 21 albums. He has also written numerous books, including A Fragile StoneThe Emotional Life of Simon Peter; Scribbling in the Sand: Christ and Creativity; A Violent Grace; The Parable of Joy and Sleep Sound in Jesus (a children's book). A graduate of Western Kentucky University with a bachelor's and master's degrees in biblical studies, Card is currently at work on a Ph.D. in classical literature. He also serves as mentor to many younger artists and musicians, teaching courses on the creative process and calling the Christian recording industry into deeper discipleship. Card lives in Tennessee with his wife and four children.